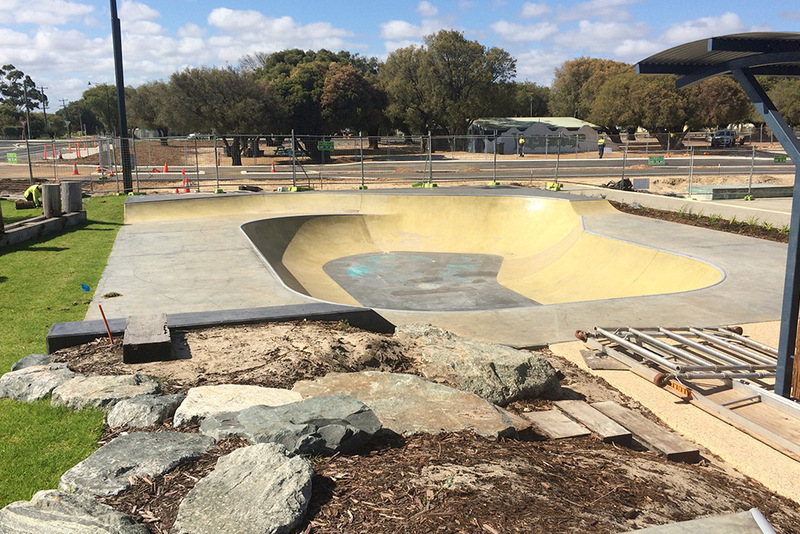 The Busselton Foreshore Development master plan incorporates enhanced public amenities including a skate park; pedestrian activities areas; a youth and community activities building; a refurbished Railway House and Visitor Centre; and refurbished Jetty; as well as provisions for future short stay accommodation, a micro-brewery restaurants, and more. 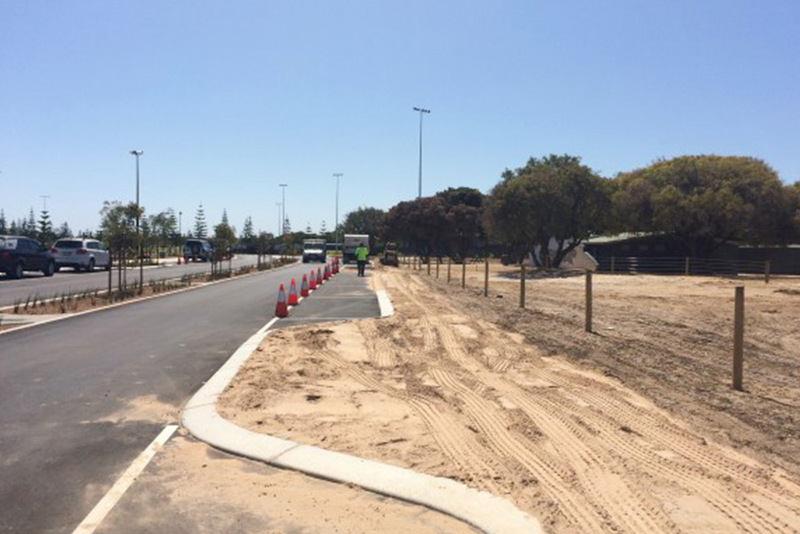 Leeuwin Civil was engaged by The City of Busselton Major Projects Division to carry out various and challenging demolition and civil works as part of the initial development phase. Works consisted of the installation of stormwater drainage, underground electrical services including lighting and various roadworks. The major challenge for this project was its location. 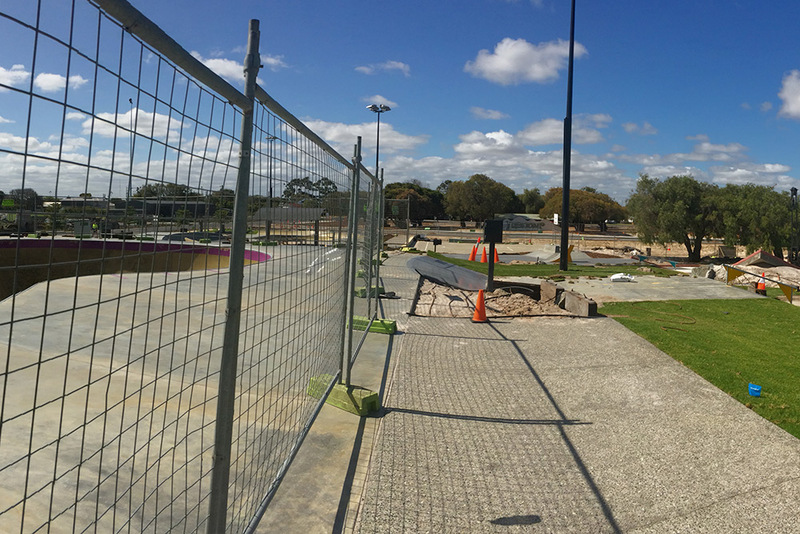 The site area was the Busselton Foreshore, which hosts up to 70 events per year, including the annual Iron Man competition. On a busy summer’s day, thousands of visitors swarm the area, which incorporates the famous Busselton Jetty and Jetty Train. Construction works in this popular pedestrian destination on the foreshore therefore had to be performed without affecting the locale and ambience negatively, which would in turn impact on tourism. To overcome this challenge these businesses were kept constantly informed of upcoming changes, and accessways were continually shifted as staged works progressed to reduce the affect on their ability to trade to capacity. 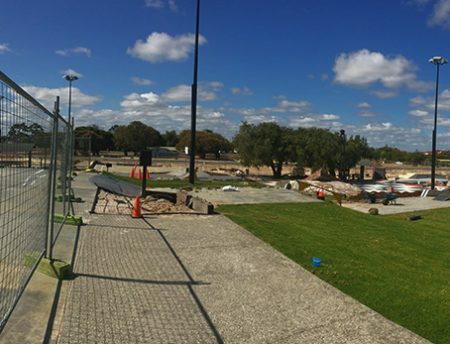 Leeuwin Civil also carried out the demolition of existing buildings whilst on site. This provided additional general car parking capacity. New car bays were also created along the busy Marine Terrace. Interfacing with landscaping contractors and builders was also part of this scope as works were staged in hand over. Leeuwin Civil’s response to this challenge was to take a proactive and agile approach in its everyday work activities to ensure as seamless and integrated process as possible. For example, works involved heightened interface and consultation with a number of stakeholders including a busy restaurant on the foreshore, the Busselton Jetty Railway, Busselton Water Board and the general public. The new road was also constructed right through existing roads, which could have a particular impact on access to the existing restaurant business and tennis club. engagement with multiple stakeholders including service providers, local businesses and the general public.